We’re down to the last major feature to announce in our upcoming April 15 Feature Pack, and it’s a pretty huge one: we’re making it easier to play with your friends on every PvE map, regardless of home world! 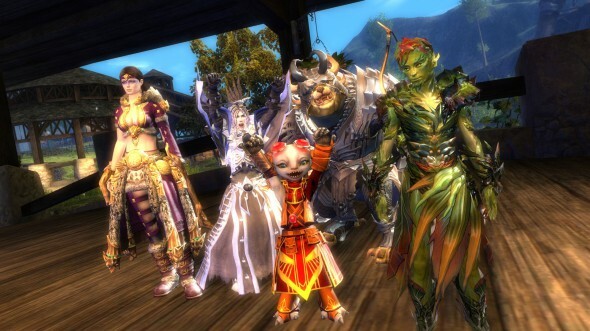 By restructuring the relationship between players and worlds, we’re changing our server system to connect you with the people who will best benefit your social experience in PvE. What exactly does that mean? We’ll get to the technical explanation in a moment, but it means that you’re more likely to be placed on a map that has more of your friends and guildmates, people who speak the same language as you, and more people that you regularly see. It means that maps will have more players adventuring in them to provide you with the best possible PvE experience. We’re proud to announce the new Guild Wars 2 megaserver system. With the megaserver system, players won’t be separated into different copies of the same map based on the world they selected on character creation. Instead, you will simply arrive in a map and be assigned to the version of that map that makes the most sense for you as selected by the megaserver system we’ve developed. This new system takes your party, guild, language, home world, and other factors into account to match you to a version of the map you’re entering. This will increase the odds that you’ll see the same people more often and play with people of similar interests. With megaserver technology, there are as many copies of a map as are needed to comfortably hold the population of players in that map at a given time. Rather than having a separate map copy for each home world and artificially limiting the amount of fellow adventurers you see, the megaserver system brings players together and dynamically opens up new map copies as necessary. The megaserver system means you won’t encounter overflow maps anymore. All maps are now created equal, and the system tries very hard to always make a meaningful choice for you by keeping an appropriate number of maps open at all times. In this way, our megaserver technology can accommodate our large population and its fluctuation around world events. The megaserver system is a weighted load balancer for players. It aggregates data about you, like your party, guild, language, home world, and the map copy where people you like to play with can be found. Using this data, it ranks all possible versions of a given map by attributing a score to each. You’re placed in the map with the highest score, which is the one with which you have the most affinity. The biggest benefit of this new system is that you’ll always find other players to adventure with in the open world, no matter what time of day it is. There are some maps in the game that tend to have smaller populations in them on each world; with megaserver technology, these lower-population maps will be full of players from the same global region, so you can always have a great experience and play any of the content in those maps. People online during nonpeak hours will be able to play in populated zones with other players, since they will all be sorted together to create fuller maps. Please note that the megaserver system will not change region restrictions, so players will still be grouped by the NA and EU server regions. For players currently on language-based worlds, the megaserver system also provides a great advantage. During nonpeak hours or on worlds with medium population, you’ll now find more players to play with who speak your language. 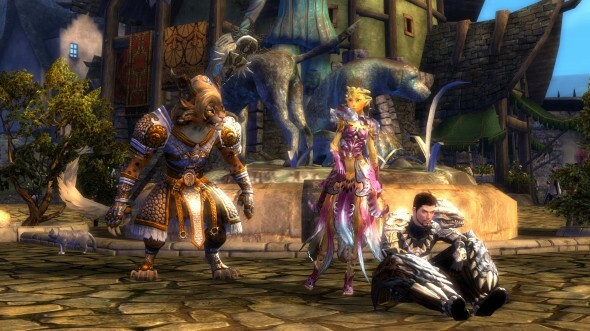 On top of this, the megaserver system also increases the odds you’ll be able to play with your friends and guildmates. It looks for anyone in your party or guild when you join a map and tends to place you with them (if the map isn’t full). The megaserver system makes it easier to group up and play with other players naturally—you’ll notice this especially with friends who were on other worlds than your own before this system. If the map you’re on is full, you can still party with a friend by right-clicking on their name and then select to join them in their version of the map. Other party and guild members will tend to be sorted to join you after that. The megaserver system makes content in the open world more accessible. Difficult encounters and major Living World moments typically require group effort, which can be hard to achieve at nonpeak hours or for worlds which, in the current system, have a medium player population. With our new megaserver system in place for PvE, it will be far easier to find a map with enough players to participate in group-oriented open-world content. For players in guilds, the world your account uses as its home world is the same world that will receive your guild influence. That system has not changed (for now). Can I Still Play with People from My Home World? Yes! You will still be playing with people from the home world you’ve selected: the megaserver system uses home worlds as a way to create persistent community within the game, which means you’ll encounter more of the same people over time. This is also a way for us to start creating more focused, meaningful social units in order to connect you to other players you can relate to and share adventures with. This initial release is just the beginning of our new approach to enhancing the in-game social environment. In our prototypes and simulations, the megaserver system yielded fascinating results. For example: as you may know from first-hand experience, players aren’t evenly distributed throughout the game world. A lot of folks concentrate in a few maps where the latest world events are happening. While that will still be the case in this new system, other maps will see a huge increase in population—which means that you’ll have a better experience with more content all over the world! With the megaserver system, the average population on each map doesn’t depend on the map anymore. The population on every map is now much higher. 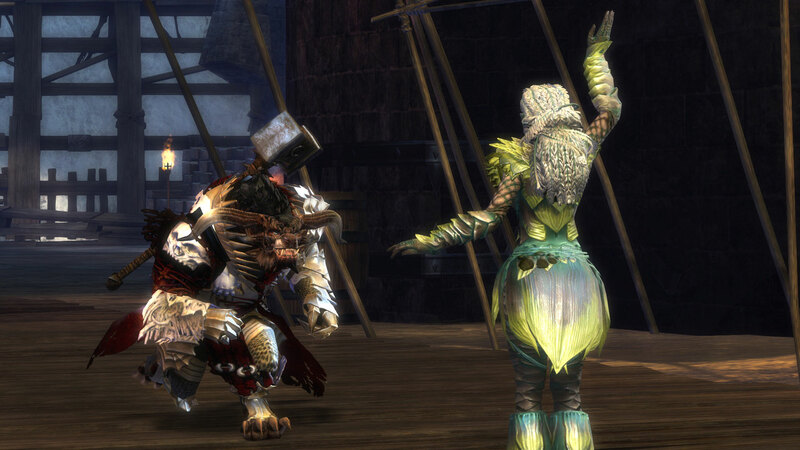 For you, this means more people to play with, and more content to enjoy everywhere in Tyria! How Is the Megaserver System Being Rolled Out? With the launch of the April 2014 Feature Pack, we’ll be activating the megaserver system on our level 1–15 maps, main cities, and the PvP lobby. We’ll monitor and test the system to verify that everything works correctly. 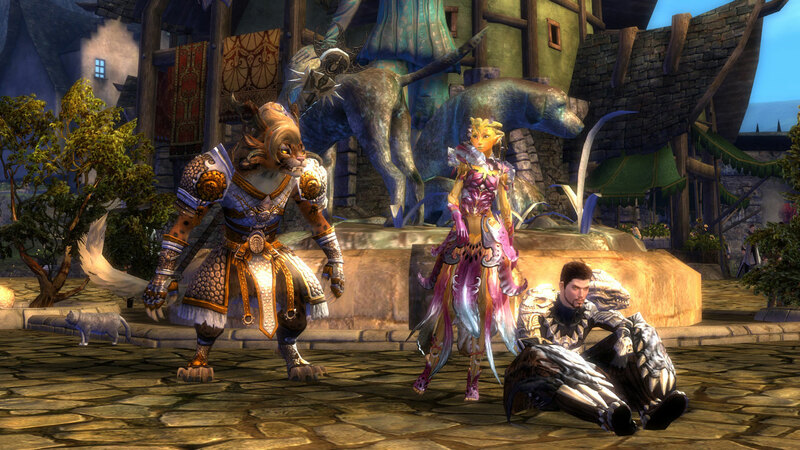 Later in 2014, we’ll activate our megaserver technology across the entire world of Tyria. UPDATE: The megaserver system will first be enabled in the Heart of the Mists and then progressively rolled out to the rest of the open world, starting with maps with lower populations. The order and speed of the roll-out will be based on the data we collect. What about World Bosses, Guilds, and WvW? Later this week, we’ll be discussing how our transition to the megaserver system will affect the timing of world bosses and some changes we’re making to support this. 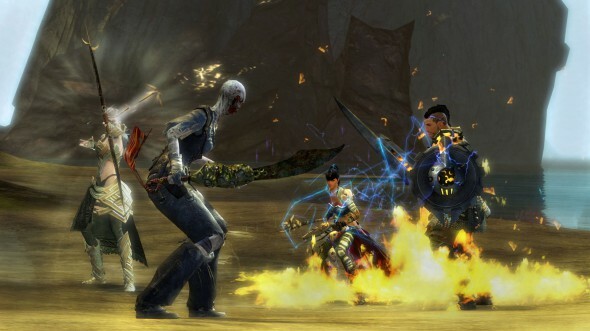 We’ll also be discussing the long-term plan for guilds and WvW in relation to our megaserver system, so check back each day this week for more information!